Ever since that fatal incident in college, Kanako has sensed them. A sound behind her... an object moving at the corner of her vision. Birds. Cooing, taunting birds... But are they real, or just in her head? As she struggles to perform her duties teaching marine biology, the images of pigeons slowly begin to drive her to the edge of insanity, until even drugs and alcohol no longer offer her protection. And what if they aren't figments of her imagination? What if that strange rumor she heard at the crime scene was true? If it was, then the real nightmare is only beginning! 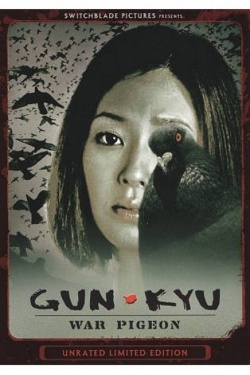 Vengeance has wings and the sky is filled with terror in GUN-KYU!